Why sponsor the Capital City Blues Festival? Businesses and individuals in the community should support the Capital City River & Blues Festival because all proceeds go to support THe Sunshine Center. Apollo Law's attorney, Jason, has directly been involved with Family Abuse Services Inc., which later merged with The Sunshine Center since early 2017. Jason served as The Sunshine Center's Board President in 2018. ​What at some of the services provided by The Sunshine Center? 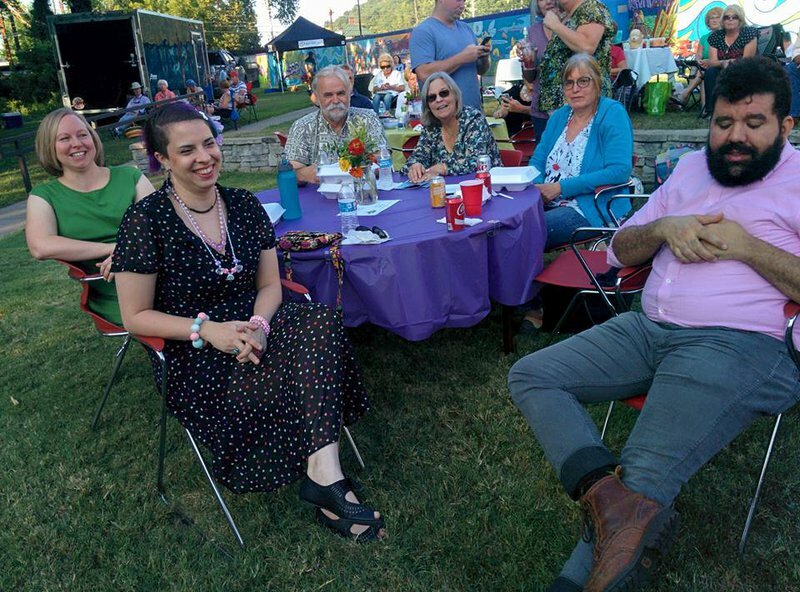 What did the 2018 Capital City Blues & River Festival involve? In 2018 United Bank once again was the Diamond Title Sponsor for that year's Capital City Blues and River Festival (CCBRF) which was held Saturday, August 25, 2018 at the Ward Oates Amphitheater, 514 West Main Street, Frankfort. Tee Dee Young returned for the 2018 Capital City Blues and River Festival along with the amazingly talented Tullie Brae. Tullie Brae - The soulful blues singer and multi-instrumentalist credits her gift to her roots in gospel music, like so many great and soul singers before her. Her musical journey started when she began singing in church where her Dad was a preacher. She played piano, drums, bass and guitar and early on assumed the role of choir director. Her artistic reputation grew within the gospel community which led to touring professionally with gospel groups. Not only are Tullie's influences steeped in gospel music, while traveling and performing she was influenced by the sounds of Blues, Soul, Country and Rock 'n Roll. If you were privy to Tullie's ipod "favorites", you would discover a broad spectrum of musical genres and eras. A few of the artists include Elvis Presley, Howlin' Wolf, Muddy Waters, Willie Mae "Big Mama" Thornton, Etta James, Tina Turner, Janis Joplin, Joe Bonamassa, Melissa Etheridge, India Arie and Paul Thorn. You may have recently seen Tullie and her band on the Main Stage at the King Biscuit Blues Festival. You may have also seen her perform at the Garvin Gate Festival, The Juke Joint Festival, Smoke on the Water-Blues For A Cause and many more other great festivals. She has also headlined multiple club dates such as Hard Rock Café, B.B. King's, Slippery Noodle, B.B. 's Lawnside, Club Ebony while also performing on television and radio. While on tour she has opened for the Blues King himself, B.B. King, celebrating his birthday. Tullie has enjoyed sharing the stage with artists such as Paul Thorn, Taj Mahal, Bonnie Raitt, Ruthie Foster, Chicago Rhythm and Blues Kings, Bobby Rush, Cedric Burnside, Lightnin' Malcolm, Jimbo Mathus, Jimmy Thackery, Big Jack Johnson and Terry "Harmonica" Bean among many more talented artists. You will see and feel Tullie's heart and soul during her performances, whether it's her original material or a cover that has been "Tullie-ized". BBQ and fixin's provided by Wendell Thomas of Fall City Smokers will be available for purchase at the festival along with assorted soft drinks and water. 100% of their sales go directly to The Sunshine Center. West Sixth Brewing will also be there with a selection of their brews available for purchase with a portion of the proceeds being donated to The Sunshine Center. For your enjoyment there will also be a silent auction, door prizes and a table decorating contest. The Capital City Blues & River Festival is an event that our attorney, friends, family, and the Frankfort community looks forward to every year. Please join us in supporting this event and The Sunshine Center. You won't regret it!